We worked with Jessica Klein years ago and we could not have been more excited when she reached out to collaborate again! She's an incredibly talented interior designer in Boston – and she's a mama to a really adorable baby girl (and pup). If we were in the same city, we'd spend entirely too much time and money on coffee dates with this one. The years in between working together had been full of change for both companies – growth in our businesses and families, moves, and of course an even more polished style and process after more design work experience. Jessica's business needed a dedicated website to show off her portfolio and a bit of a brand identity revamp to reflect her clean design aesthetic. First, we took Jess through our research process. She started by going through our Craft Your Vision workbooks and gathering images for each. These helped us start an insightful conversation about what makes her business different, who she works with best, and how she takes her clients through her design process. From there we created Your People and Your Brand vision boards that ensured we were on the same page visually from the beginning. After going through the process to fully understand Jessica's story, we polished up her hand lettered logo with some fresh brush lettering and updated her color scheme and font selection. Then we got to work building her new website! 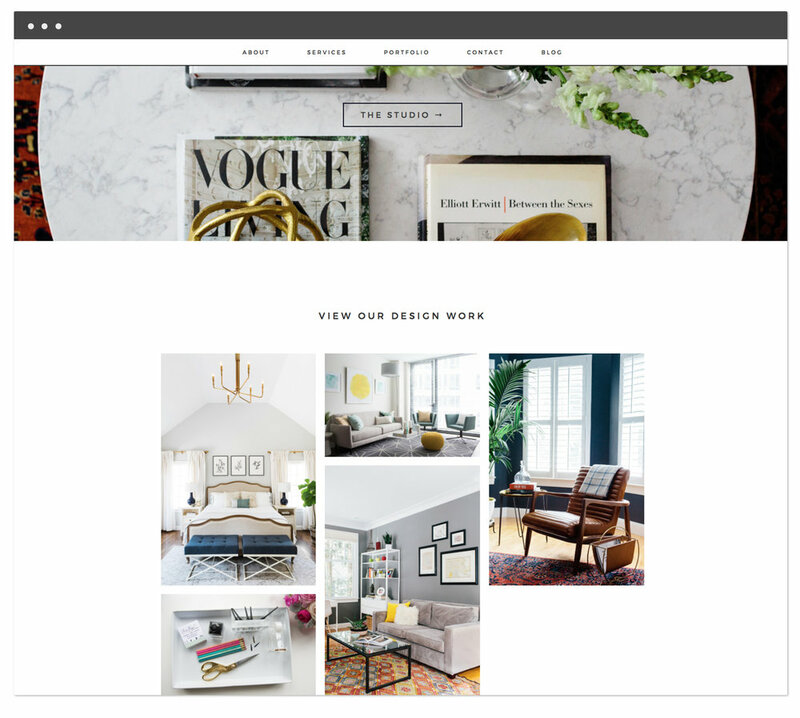 We wanted to make sure her blog content felt cohesive with the rest of her site – so her readers could easily navigate her online "storefront" and, hopefully, go from viewer to client.